Union Motors with its ambitious plans, broad infrastructure and industry-focused team now partners with Geely Automobile Holdings to market their passenger vehicles in the UAE. Geely is one of China's top ten auto manufacturers and also among the country's top 500 firms. 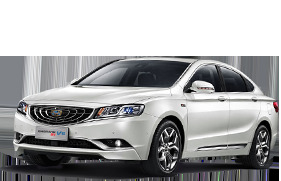 Geely launched its auto manufacturing business 1997 and is today a fully integrated independent automobile manufacturer with a complete auto eco-system from R&D, production, distribution and servicing. Geely manufactures 630,000 vehicles annually and has 38 exclusive sales agents, 476 sales & service outlets worldwide. Mr. Li Shufu started the entrepreneurial course of Geely with refrigerator parts business as the starting point. The first automobile of Geely group rolled off the production line in Linhai City of Zhejiang Province, embarking on the era of automobile manufacturing by private enterprises. The first batch of Geely automobiles was exported abroad, changing the situation of zero automobile exported from Geely before. Geely was successfully listed on the Hong Kong Stock Exchange (0175 HK), making an important step forward on its way to internationalization. Geely Holding Group Co., Ltd. and Shanghai Maple Auto signed official agreements on manufacturing of branded taxis by joint investment with Manganese Bronze Holding (MBH). Mr. Li Shufu, Board Chairman of Geely and Mr. Lewis Booth, Chief Financial Officer of Ford, attended the delivery signing ceremony in London. By then, Geely had completed the buyout of Volvo Automobile Company, a brand of Ford. Volvo and Geely signed Technology Transfer Agreement. Geely Group is excited to announce that the joint R&D Centre of Geely Auto and Volvo Cars in Gothenburg starts soft operation following the decision made in February 2013. Geely released its new era brand strategy which clarified new brand mission and value proposition. Geely's brand building steps into new stage. Zhejiang Geely Holding Group (ZGH) has been listed as a Furtune Global500 company for the fifth year running and has advanced 67 places to 410th place. ZGH first entered the Furtune Global500 list in 2012. Zhejiang Geely Holding Group (ZGH) has become an official vehicle partner of the G20 Summit 2016 with Geely Auto providing 327 Geely vehicles which will be used by key departments such as police, fire service and airport security throughout the G20 period. 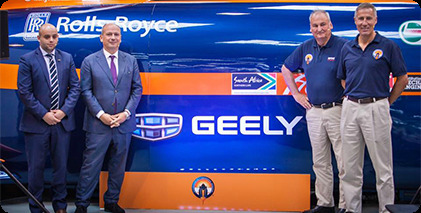 GEELY, join Rolls-Royce, Castrol, Rolex and other organizations to become the prime sponsor and Official Automotive Partner for the BLOODHOUND project, a British initiative attempt to break the World Land Speed Record. Geely Holding acquire 49.9% shares of PROTON and a majority 51% share of LOTUS. (Hangzhou / Stuttgart) Geely Group, a company owned by Li Shufu and managed by Zheijang Geely Holding Group, has acquired a 9,7 percent stake of Daimler AG, Stuttgart through open market purchases of shares. The chairman of Chinese carmaker Geely has built up a 9.69 percent stake in Mercedes-Benz owner Daimler, filings showed on Friday, an aggressive move designed to open the door for an industrial alliance between the two carmakers.